I’m such a fan of CelebrityOptimist.com because Kendra is doing here what I think we could all be happier doing in life: Focusing on the positive. I’ve always been an optimist. But I don’t always have a great day. Still, I rarely get through a day thinking it was an awful one. That’s because after I’ve sighed or cried or stomped out my frustration, I find that I feel much better moving forward and shifting my focus from the negative to the positive. Because the more I focus on the positive, the more I see the positive, and the more positive things I attract into my life! Say the words “The GOOD news is…” and then finish the sentence, however you can. If you accidentally set your alarm for p.m. instead of a.m. and overslept, the GOOD news is…you finally got a healthy night’s rest so you’ll be more productive today! If you’re stuck in traffic, the GOOD news is…it’s is a perfect time to call and catch up with Mom! If you spilled ink on your new sweater, the GOOD news is…no one will have a sweater exactly like yours! If you’re single and fearing you’ll never find love, the GOOD news is…you can fall in love with your life first, so when the right person comes along, they’ll feel luckier than ever to be a part of it! This little “good news” secret works no matter what you’re facing. Whether it’s something tiny or huge, serious or hilarious, if you look for the good stuff, you WILL find it. Be creative: The longer your list and the more outlandish you get, the better! I hope this helps you see your next tough situation BRIGHT SIDE UP. And here’s to shifting our perspective to the positive as often as we can — in celebrity’s lives and in our own. If you want more ideas on how to see the positive, check out BRIGHT SIDE UP: 100 Ways to Be Happier Right Now (Perigee), which is like an “emergency optimism” guide for life: When your computer crashes, your relationship ends, or you gain ten pounds, these are 100 practical strategies for seeing those challenging experiences from a more positive place. You don’t have to change your life to be happier; you just have to change how you see the life you have! To learn more about Amy Spencer and her numerous dimensions, please visit her website! We are excited to introduce you to her book BRIGHT SIDE UP, coming out tomorrow, Tuesday, February 7th, with this trailer! 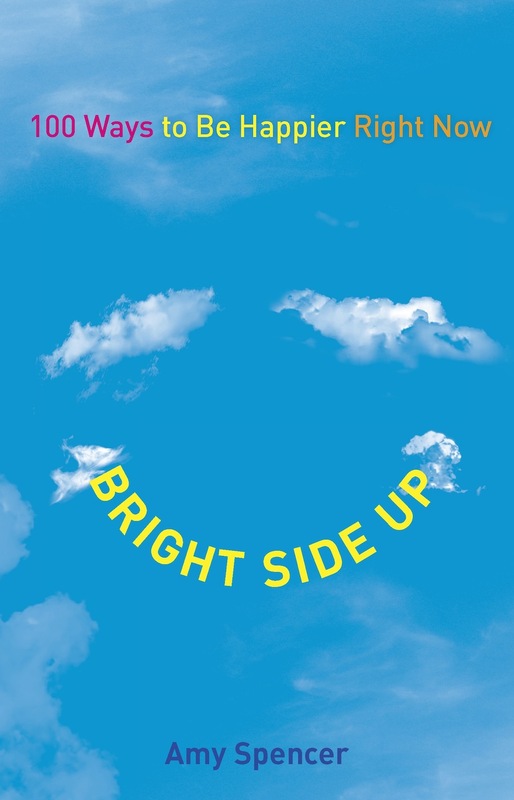 BRIGHT SIDE UP is available on Amazon.com! ← Hosea Chanchez: Watch Me Win!